Do you love smart gadgets? 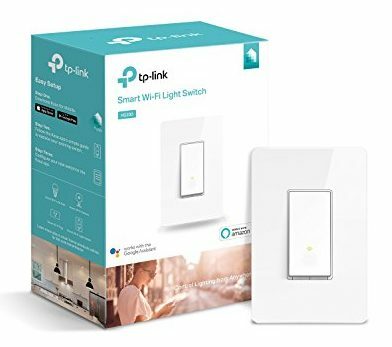 You do, then you might like this new device, the wireless wall switch. What you may be wondering! Yes, you heard right this handy electronic tool makes your life more comfortable at home. Now you may wonder how the wireless wall switches can change your life. 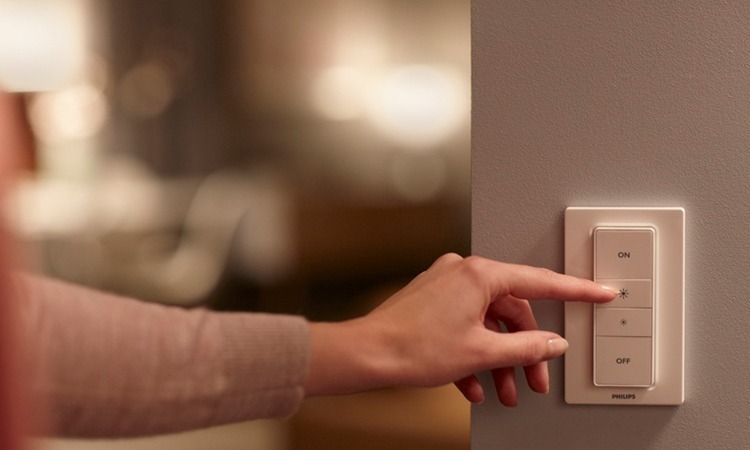 With this lighting switch in the home, you can control from the lamps to lights in the house. The switch looks similar to a normal one and helps control the lighting, socket and even a fan. The amazing thing is you can use your smartphone to control every light in the home via an app. You will be able to turn on lights at a set schedule that is great when you are not at home. Furthermore, you can control plugged-in devices to lights with a simple tap on your phone and help saves costs on your utility bill. 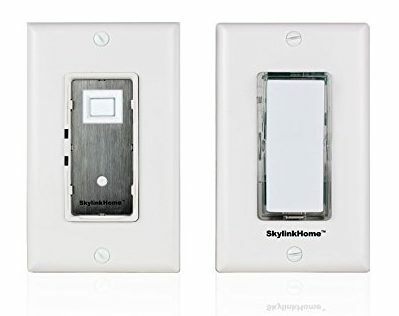 With our top 10 best wireless wall switches to buy in 2019, the uses are endless. 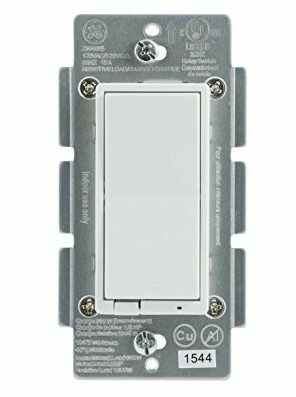 If you want wireless control over your lighting outlets in the home, the GE wall switch is more than ideal to use. The device you can use with CFL and LED lights. You can mount the light switch anywhere with the included mounting bracket and needs no wiring. You can manage all the lights, seasonal lighting, and small appliances in the home. All you need to do is plug it into a 120VAC grounded outlet and plug the controller device into a receiver. An important note is that you can only use one receiving outlet per light switch. 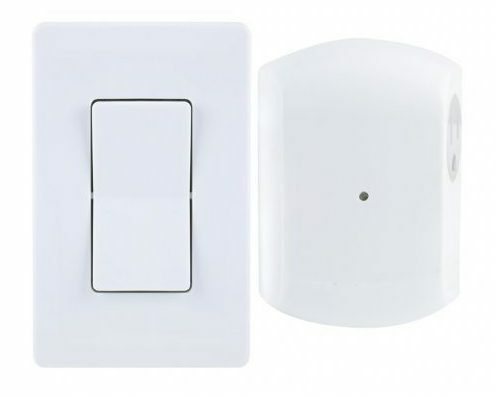 For controlling one light in your home, you need the Woods wireless wall light switch and remote. You receive the remote, and the wall switch included, and you can switch the light off manually when required. The control works with LED lights up to 80-feet and has an easy-to-use push button. You can lie in your bed and switch of the lights in the living room. With the Westek wall mounted wireless switch and receiver you do not need to do any wiring. The transmitter has a rocker light switch design that fits in with any home décor. 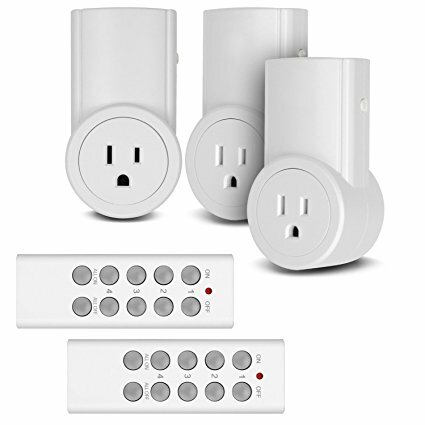 The remote works up to 100-feet away and automatically pairs with other switches in a group. The controller you can match with five conductors and the receiver has a single grounded outlet. To use it without the transmitter it has a manual override button. To see if the device is on it has a green LED light. With the Etekcity, you can control multiple devices and lights in your home. 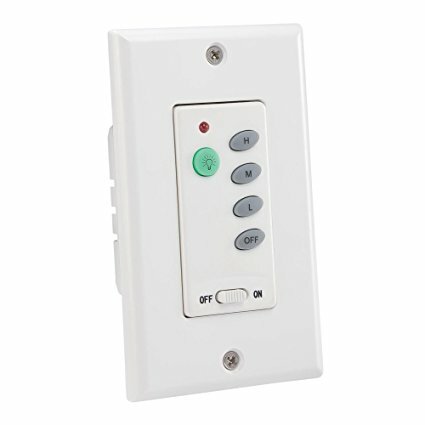 The wireless wall switch and remote allows you to turn the lights on and off with ease. You can expand the system with more than one transmitter and use it 100-feet away. After a power outage, the outlet will remain off to save electricity. The product is ETL and FCC permitted and included a 15-month warranty. The device is not companionable with echo. Now if you want a wireless wall switch that works with Wi-Fi you need the Megadream Alexa. You can control the entire fixture in your home from anywhere with your voice. The switch works with Google Assistant, Amazon Alexa and supports Alexa Echo and more. Everything is controlled from switching lights on and off with your Android or IOS devices. The Xodus Innovations is a mountable wireless wall switch you can control remotely. Installing and using the device is super easy by plugging the receiver into an outlet and the gadget into the receiver. You can control a light from 50-feet away and has four channels. You receive two lithium-ion batteries included. Do you have a ceiling fan in your home, you can use the Westinghouse to replace the existing switch and control it when sitting on your couch. With the touch dimmer, you can select your preferred lighting. To use the gadget you need to wire it and include a matching wall plate. You can control the fan speed and dim the light. 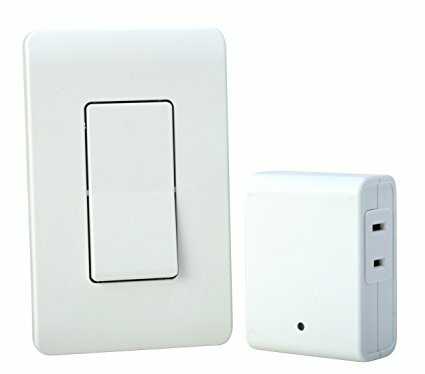 Here is another wireless wall switch from GE the Z-Wave Plus that is compatible with Alexa. You will need the Alexa supported hub and does not connect directly to the Echo. With your mobile device and this fantastic gadget, you can control your home’s lighting. The equipment works with all CFL, LED, incandescent, and halogen bulbs. You will need to install it on a wall with hard-wire connection. With the TP-Link HS200, you can control anything in your home wirelessly. The switch has a smart design and installs easily. You can connect it to your wireless network by using the KASA app. With the app, you can manage different appliances and lights in the home directly from your mobile devices. You can pair it with Alexa and use your voice to turn fixtures on and off. No matter where you need to control your lighting in the home remotely choose the SK-8. The device is a smart home control wireless wall switch. 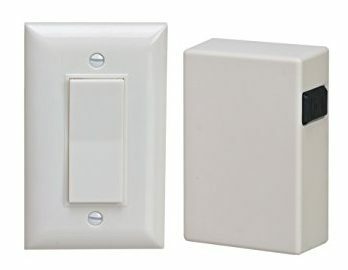 You can replace your current switches with it to turn lights on and off in the home. The remote range is up to 500-feet. The kit includes everything needed to make your installation simpler. Control devices by downloading an app directly to your smartphone. With all the smart devices making its way into your home why not, make your home personalized with a wireless wall switch. 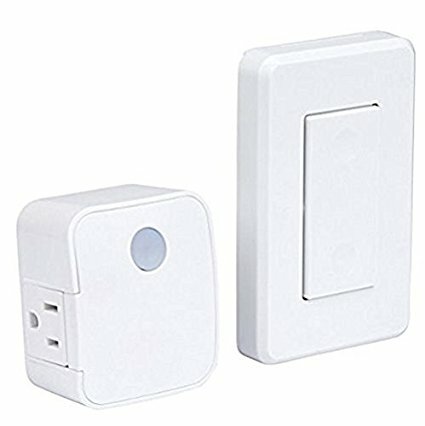 With this handy gadget, you can turn your home into a smart one and control all your fixtures and appliances from anywhere in the house. 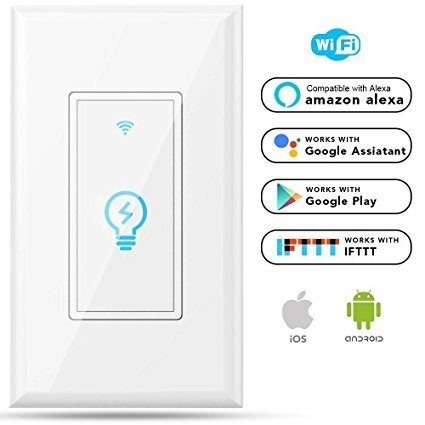 Whether you want to control the lights with a remote or your smartphone, you will find a suitable one right here from our top 10 best wireless wall switches you can buy.